About | eXtreme Truck Performance – XTP IMS intake manifold spacers for Nissan, Toyota & Suzuki with 4.0 engines for performance gains! eXtreme Truck Performance – XTP IMS intake manifold spacers for Nissan, Toyota & Suzuki with 4.0 engines for performance gains! 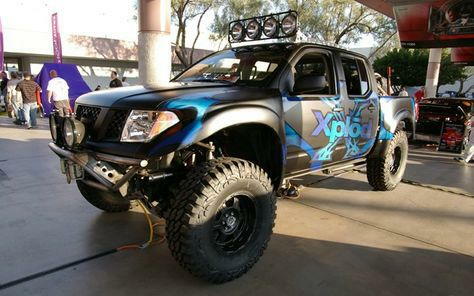 XTP Bolt-on Torque for your Truck or SUV! The eXtreme Truck Performance (XTP) Intake Manifold Spacer (IMS) has been designed specifically for the mid-sized truck and SUV crowd. They are made for the VQ40 V6 engine in 2005-2013 Nissan Frontiers, Xterras and Pathfinders, the 4.0L V6 engine in 2008-2012 Suzuki Equator and 2005-2013 Toyota Gen 2 4.0l V6 engines found in Tacomas, 4Runners, FJ Cruiser and V6 Tundras. The XTP IMS has been CNC machined from 6061 Billet Aluminum and comes in assorted anodized colors. The Intake Manifold Spacer fits between the upper manifold and the air intake plenum. The plenum runners equalize the air flow to the various cylinders. By adding this spacer it creates an extra volume of air and raises the intake plenum up ½” which essentially extends the intake runners. When an engine has longer runners it will result in more torque at a low RPM whereas with shorter runners it will result in more horsepower at a high RPM. Being SUV’s and trucks we spend more time in the low rpm and lower speed ranges. Thus the addition of this spacer is quite beneficial. Due to the sharp angle design on our intake plenum for the passenger side 3 ports, extending the runners with this spacer improves performance and the flow of air to the engine. 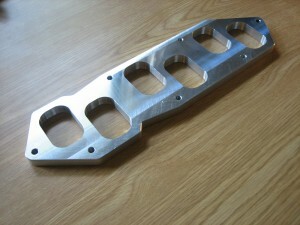 The diameter and length of the intake manifold runners influence the power curve of the engine. Most of the performance enhancement is due to changing where the power is being made; by lengthening or adding this spacer you effectively move the torque curve down, resulting in low-end power. An action of moving back and forth is defined as a vibration and called resonance. The air in your intake manifold resonates or moves back and forth during the opening and closing of the intake valves. The air from your air filter does not always travel directly to the cylinders. When the intake valve opens, air is drawn into the cylinder by the low pressure created from the downward movement of the piston. When the intake valve closes, the air in the intake is still moving forward towards the valve. At this point, there is nothing driving it but inertia. It slams up against the closed intake valve and creates an area of high pressure. This high pressure is then reflected as a wave back up the runner away from the valve. When the pressure wave reaches the intake plenum (a common area shared by all the intake runners), it is then reflected back down the runner towards the valve again. When this pressure wave approaches the valve as it is open, then it will help flow more air into the cylinder. This actually pushes more air into the cylinder than the cylinder would normally receive by itself. The valve closes and the process repeats again. This whole process results in increased volumetric efficiency (more air entering the cylinders than normal). Since your engine is nothing but a large air pump, more air = more horsepower/torque. The intake runner must be properly sized (length and width) in order to enable the pressure wave to arrive back at the intake valve as it opens for the next cycle. An intake manifold spacer (IMS) will lengthen the runners causing the air inside of it to have to travel a longer distance. The pressure waves also have a longer distance to travel and travel at the speed of sound. Since they have a longer way to travel, they arrive back at the intake valve later. At lower RPMs, the valves are opening and closing slower. The intake valve reopens later and this can be timed with the intake pulse (with the spacer) in order to create more torque at lower RPMs. A main benefit of this spacer is the power and torque increase to the overall power band of the vehicle, however the sweet spot increase is in the lower rpms where midsize vehicles can use this additional power since they are not constantly running high speeds. 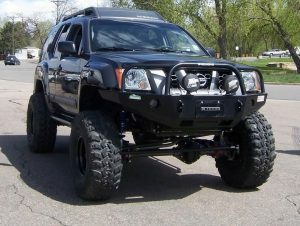 There are many reasons why adding more power and torque to your midsized vehicle is beneficial. 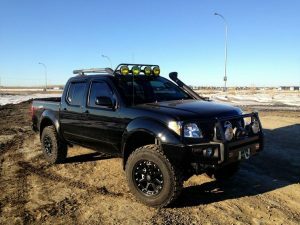 If you are towing trailers, driving at high altitudes, adding lots of heavy equipment to your vehicle such as aftermarket bumpers, winches and heavy roof racks, running oversized tires, or you just need that extra ‘pickup’ to get you up to speed on the highway or you are just looking to get the most out of your engine. This spacer can improve mpg due to the fact that less throttle is now being applied in order to reach the same desired power output. Another benefit of this spacer is heat dissipation as it is made from materials that don’t transfer heat readily. This will allow for a slightly cooler air/fuel mixture which in turn can increase power. For the money, intake manifold spacers are easy to install and a great bolt on horsepower investment that significantly increases your vehicles performance while adding an increase to mpg as well. Adding the IMS is not a permanent modification so the vehicle can easily be put back to stock in a short amount of time.